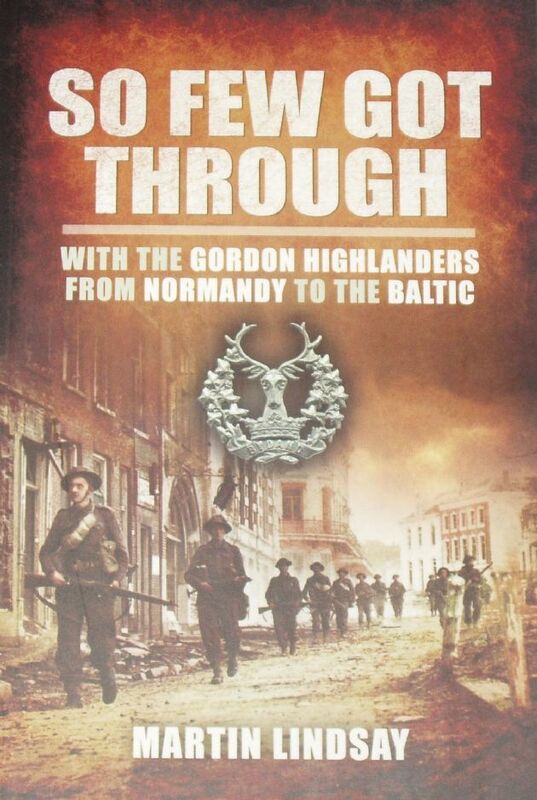 From the rear side cover: On D-Day, 6 June 1944, 1st Battalion, The Gordon Highlanders landed in Normandy with 27 officers and 565 men. By the following April as the Battalion reached Bremen, it had lost no less than 75 officers and 986 men. Few did indeed get through but Martin Lindsay, who commanded the Gordons in 16 operations winning the 050, was one who did, despite being wounded. This book, one of the earliest published WW2 memoirs, has arguably become the most acclaimed - and best-selling. The reasons for its success quickly become apparent to the reader. Lindsay, a professional author and explorer before the War, captures the atmosphere of brotherhood in battle superbly. This is no conventional account and the events of those historic months give full rein to the author's descriptive skills. He is refreshingly candid both in his praise and criticism. Perhaps one of the most remarkable features of this book is the picture Martin Lindsay paints of himself. We watch as he is transformed from a fresh, exhilarated reinforcement officer to a seasoned commander, burdened with awesome responsibility and with nerves frayed, fighting to master his self­ discipline and inspire his subordinates.